Will Graham & his friends unearth a way to escape their rock-brained captors? Will he take for granite everything he learned as an adventurer? Does he have the stones to reclaim his mantle & lead his kingdom to safety? Will the hat make it out ok? It’s time to tell your story. 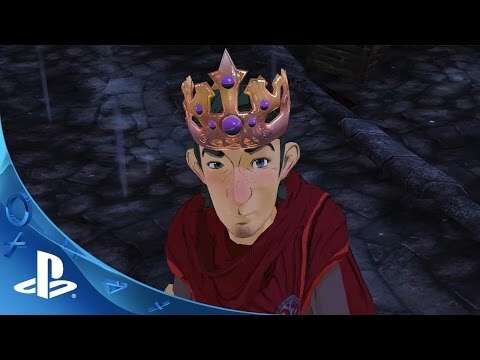 King’s Quest: A Knight to Remember is required to play this content and is sold separately. If you purchase King’s Quest: The Complete Collection or Season Pass, do not purchase individual chapters as you will be charged for them. 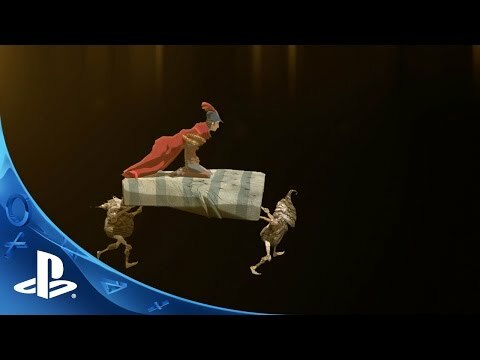 A minimum of 8 GB available hard drive storage space required for PS3, a minimum of 17 GB available hard drive storage space required for PS4 as of December 2015 for the King’s Quest: Rubble Without a Cause. Storage space requirements are subject to change and may increase. Additional storage may be required for mandatory updates, setup and features which users must download to continue playing and which may require additional storage. Internet access required. Users are responsible for broadband access and usage fees. Activision may modify or discontinue online services at its discretion and without notice. Terms and conditions apply. ©2015 Activision Publishing, Inc. SIERRA, SIERRA with mountain design and KING'S QUEST are trademarks of Activision Publishing, Inc. All rights reserved. Purchasing and using the software constitutes acceptance of the Software License Agreement available at support.activision.com/license. ESRB rating icon is a registered trademarks of the Entertainment Software Association. All other trademarks and trade names are the properties of their respective owners.